According to statistics, head-on collisions are the deadliest, causing the majority of car accident fatalities on U.S. roads. For the victims who survive a head-on collision, the injuries can be catastrophic. A head-on collision occurs when two cars coming from opposite directions or one approaching car and a stopped car collide with each other head on. The consequences of such collisions between the front parts of both cars can be devastating. In many cases, head-on collisions result in serious injuries and even death. These types of collisions account for only 2% of all road accidents, but an alarming 10% of all fatal crashes. Head on car accidents can do massive amounts of damage to both your vehicle and the passengers inside. At The Hoffmann Law Firm, L.L.C., we are quick to fully investigate the scene of your accident in order to properly uncover all of the critical evidence you will need to build a solid case against all negligent parties. We know how to obtain compensation for you so you can move on with your life. 75 percent of all head-on collisions occur on rural roads. Head-on collisions happen most frequently on two-lane roads. Of the 7,000 reported head-on collisions on two-lane roads, only 4.2 percent were caused when a driver was trying to pass another vehicle. Failure in negotiating a curve on the road is a cause of 23 percent of fatal head-on collisions. The FARS data brings out the fact that many head-on collisions result from ‘unintentional maneuvers’ of a driver. These include distracted driving, not following the speed limit, negotiating a curve at a very fast speed, and falling asleep while at the wheel. Driving under the influence is the other major cause of head-on collisions. You may have experienced the situation when the right tires of your vehicle have meandered from the road. This is a terrifying situation that may affect even experienced drivers. Drivers normally pull the steering wheel to the left as a reaction to the situation. This is an impulsive reaction of drivers that may only worsen the situation. There are numerous instances when overcorrection can cause the vehicle to encroach into the opposing lane and head straight into oncoming traffic, or the vehicle may roll over. Head-on collisions are collisions involving two vehicles moving in opposite directions where the front bumper of one vehicle hits the front bumper of the second vehicle. A vehicle may hit a stationary object, like a tree or a light post. 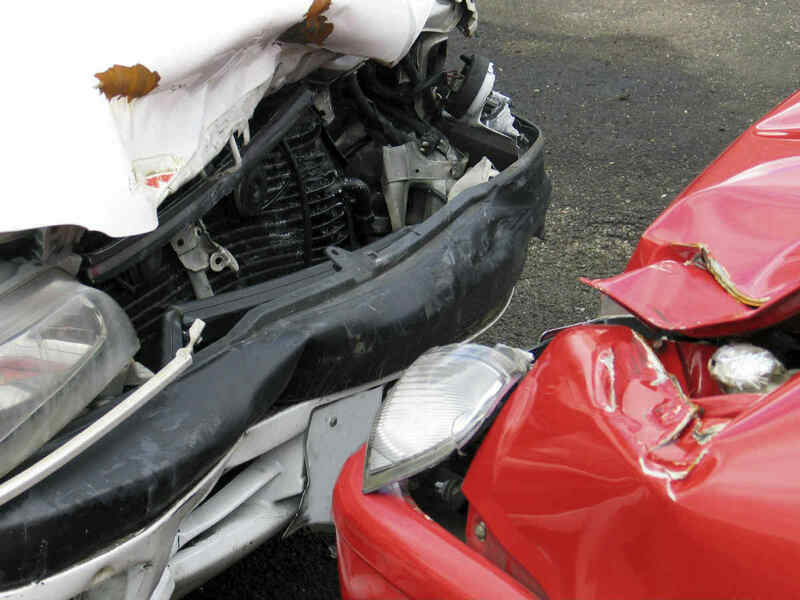 These collisions are also called frontal or head-on collisions. Failing to yield: Failure to yield to oncoming traffic may cause such collisions as well. Car breakdown: Sudden vehicle failures can create a dangerous situation, especially on a 2-lane road. Drowsiness: A driver that falls asleep at the wheel can cause a serious accident. The most important thing to do after an accident is to seek medical attention. Symptoms of certain injuries do not show immediately and become evident after a few hours or days. Even if you feel that you are alright and you do not need medical help, visit your doctor who can check you thoroughly and rule out any internal injuries. • Lowball offers – It is not unusual for an insurance company to attempt to settle a case like this quickly and as cheaply as possible by making the victim a settlement offer right away. a Missouri car accident attorney will be able to help you determine how much your case is worth and if their offer is a valid one. Most of the time you will find that these initial offers are way below what you are entitled to in damages. • Scare tactics – As a part of these offers will be scare tactics, where the insurance adjustor may try and make it look as if you may lose, or worse, be found at-fault for the accident. • Stalling – This is a classic defense tactic used by an insurance company when they know that their client has caused harm to another and is clearly at fault. You may lose interest if they take their time in responding to your claims. If you or a loved one has been involved in a head on collision, call The Hoffmann Law Firm, L.L.C. at (314) 361-4242 or fill out our online contact form. We offer free consultations in all personal injury cases and you never pay attorney fees unless we recover compensation for you.